Global trade credit insurer Euler Hermes has put a price tag on a UK exit from the European Union without a replacement free trade agreement (FTA). 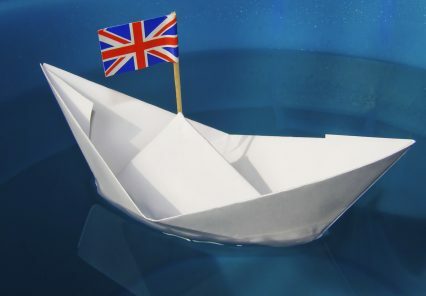 Up to £30bn (or 8%) of UK total goods exports may be lost, creating a ‘exports black hole’ which would take at least 10 years to fill even considering trade with Commonwealth countries. Under this scenario, the trade deficit, already at a record high level, would widen by £35bn within a year of the formalisation of the UK exit from the EU. This is the worst of the three Brexit scenarios considered in the study “Brexit me if you can” authored by Euler Hermes. The core scenario actually suggests the UK is most likely to remain within the EU, minimising disruption to trade and actually growing exports by as much as £26bn by 2019. In the third scenario, which includes a FTA agreement with the EU, turnover growth would still be halved due to direct export losses, falling margins driven by higher import and financing costs and divestment of foreign direct investment (FDI). According to Euler Hermes’ Brexit scenarios, financing costs would rise as UK-based banks would lose their ability to secure competitive funding from the European Central Bank. The Bank of England might then be forced to raise interest rates to fight the falling value of the pound whether or not an FTA is signed. As 40% of the City’s trades take place inside Europe, London’s pre-eminence as a competing financial centre would also be affected: Deutsche Bank has already been considering relocation plans in case of a Brexit. Chemicals, machinery equipment, automotive, textile, energy and agriculture are the sectors that would suffer the most in the case of a Brexit. The manufacturing industry in the UK is already suffering a downward trend, as the latest figure from the British Chamber of Commerce (BCC) show. The BCC has downgraded its UK GDP growth forecast, from 2.6% to 2.4% in 2015, and from 2.7% to 2.5% in the next two years, due to weaker than expected net trade and manufacturing figures. “While the UK economy will continue to rely on our dynamic service sector, it is crucial that the manufacturing sector continues to innovate and export. In the meantime, firms in the sector need more encouragement and support, particularly with trade finance and promotion, to compete internationally,” says David Kern, BCC’s chief economist. The Euler Hermes research is the latest in a series of studies on the consequences of a Brexit and rebuffs the claims that the UK would benefit from acting alone on the world’s trade stage, forging its own trade policy and agreements. The referendum is expected to take place by the end of 2017, but, as a Reuters poll reports, the uncertainty surrounding the outcome is harming the UK’s economic outlook already.